FIFA President Gianni Infantino confirmed that Video Assisantant Referees (VAR) technology will be used to help referees make decisions at the 2018 World Cup. VAR technology itself has been tested several times in a football game. The most famous is when this technology was tested in the match between France against Spain some time ago. At that time, Referee Felix Zwayer who led the game must make decisions that require consideration of the technology. Zwayer made two crucial decisions when he annulled Antoine Griezmann's goal and endorsed Gerard Deulofeu's goal. Some even refused to use the technology in a match. However Gianni Infantino revealed that the VAR will be used at the 2018 World Cup in Russia next. "We will use the video to help referees in the 2018 World Cup, because so far we have received positive feedback," said Gianni Infantino as reported by Football Italia. Argentine legend Diego Maradona supports the use of technology to assist referees in football, in order to avoid any controversy that may occur in a match. 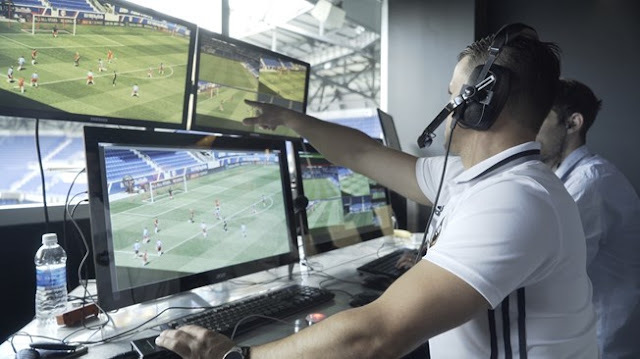 FIFA began reviewing the use of Video Assistant Referee aka VAR, which has been applied in the Confederation Cup 2017. Not all parties are happy, because the referee takes longer before making a decision. But according to Maradona, such technology is necessary to reduce the occurrence of controversy in a tournament in the future. "There are many incidents happening in World Cup history that will be different if we use technology, now it's time to change that," said Maradona at FIFA.com. "Everyone says that we're going to waste a lot of time, it will be annoying, but it's not like that.All people will get annoyed if there's a right but not legitimate decision, or vice versa." Diego Maradona recently supported the use of Video Assistant Referee (VAR) and said that the system would make his 'Hand of God' goal not passed into England's goal. Maradona recorded history in the World Cup when the tournament was held in Mexico in 1986 ago. He had tried to gore the ball from England goalkeeper, Peter Shilton, but then use his hand to change the direction of the ball and scored. The goal helped Argentina win 2-1 in the quarter-finals, before finally becoming champion. "I've been thinking about that, and of course, that goal would not be valid if the technology had been there," said Maradona at FIFA.com. "And I say one more thing: In the 1990 World Cup I used my hand to sweep the ball off the goal line against the Soviet Union and we were lucky because the referee did not see it. "It's not just my goal in '86 that will not count." Do not forget about England's winning goal in '66, where the ball did not cross the goal line.Then it happened in 2010, when Lampard scored against the German goal but not ratified.